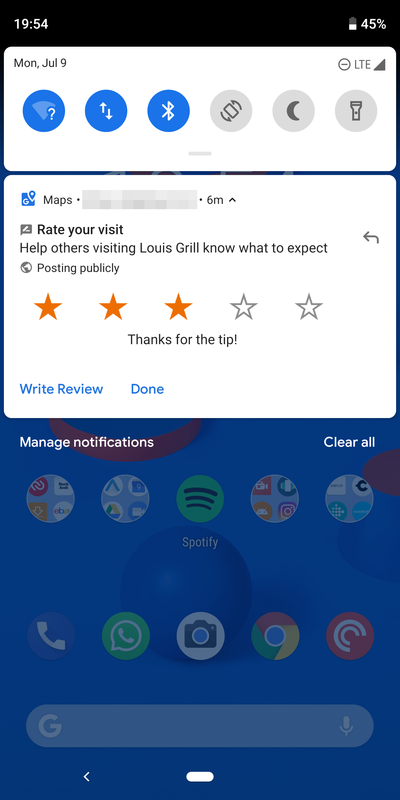 Previously, when Google Maps suggested you rate and review a place you've been to, you had to tap the notification to open the corresponding Maps page, then add your thoughts there. Now, the star ratings are displayed right in the notification and you can quickly choose one to submit. There are both positive and negative aspects to this. First, it's nice to be able to send a rating without getting very verbose about it, especially when you think the place is good and you don't think your words can contribute much to the reviews. But it can also lead to a lot of mindless ratings that don't come with any explanation. At least when you leave a rating in the Maps app, you're asked to write a review by default then you can back out. Here, the review step is an active choice. 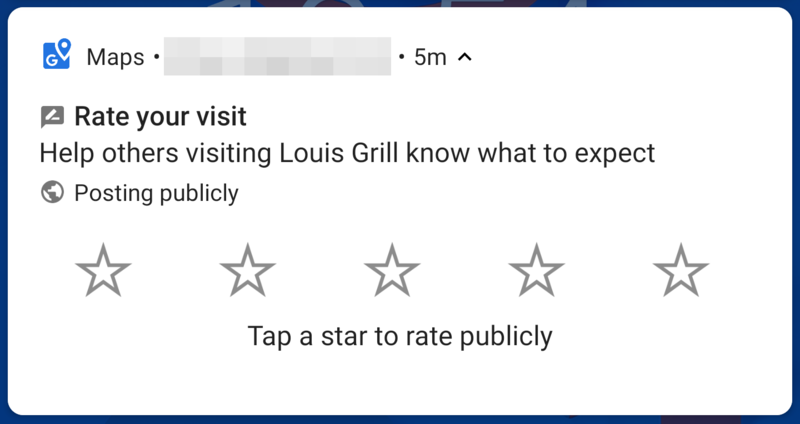 Plus, this is especially bad when the notification doesn't emphasize the name of the place, so you may mistakenly leave a rating for a place you haven't been to only because it's near the one you actually were at. 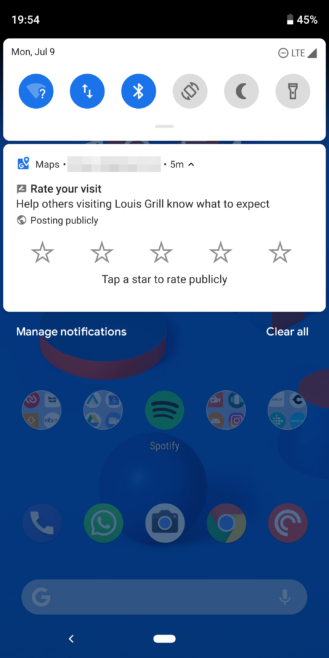 The one redeeming factor here is that the notification isn't expanded by default, so people are less likely to use this quick rating system if they usually dismiss the notification without looking at it. I started seeing these star-rating notifications a few days ago, but it's possible they've been rolling out server-side over a longer period of time. Cody tells us he spotted the strings for them several versions of Maps ago, so they might go back a few weeks.